This perennial, also called heuchera, has frothy little flowers that arch over mounded foliage in early summer. Its leaves come in a rainbow of shades from peach to deepest burgundy. "These are one of my favorites that I've used in hundreds of planters. 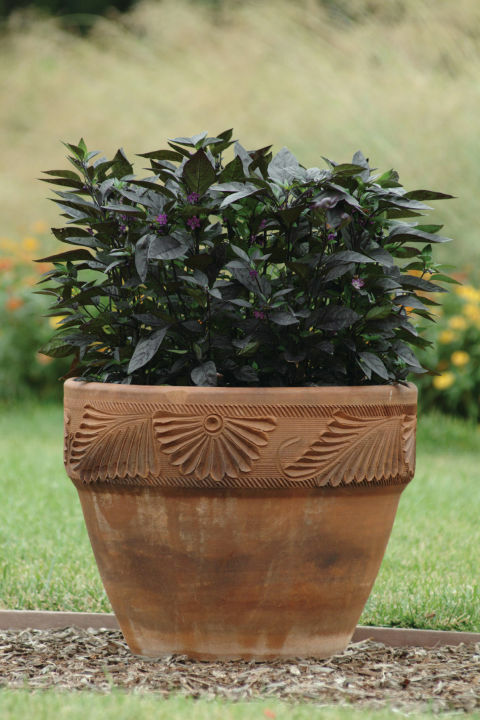 They tend to do better in pots in some places, especially if you have a lot of hungry creatures such as voles in your yard," says Wise. 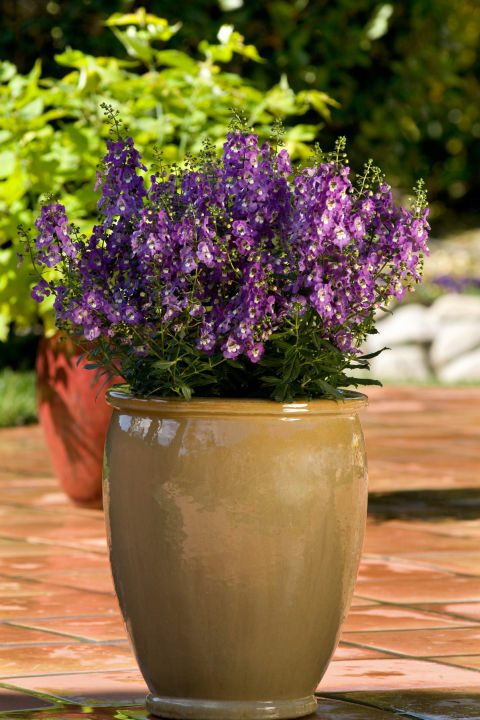 Delicate but heat-tolerant angelonia, also called summer snapdragon, doesn't need to be deadheaded (have spent blooms plucked off) to keep blooming all season. They come in pinks, mauves, deep purple, purple-blues, white, and more. Mix them with trailing herbs for an attractive combination planter, suggests Kopp. 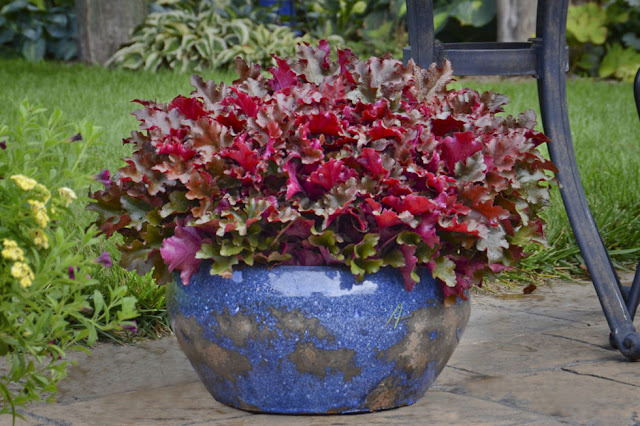 In the last few years, coleus has had an explosion of new colors. 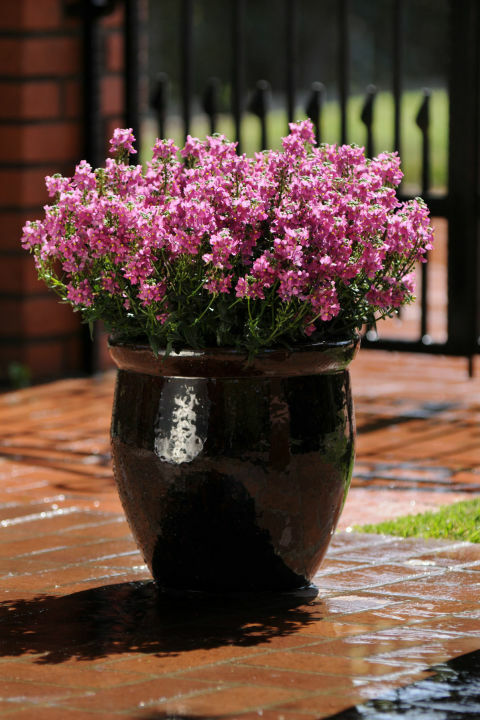 It's drought-tolerant and includes trailing, mounded, and upright varieties in too many colors to count. "A bonus is that their delicate flowers are a huge pollinator magnet for butterflies, bees, and hummingbirds," says Wise. These bushy little plants are fun additions to containers with their season-long color, texture and showy fruit, says Kopp. The tiny fruits typically mature from black to red. Though technically edible, most varieties of ornamental peppers are ultra-hot—so keep them out of the reach of kids and pets! Perky little flowers last all season on upright stems in tons of bright colors including purple, pink, cranberry, bright yellow, pale yellow, orange, and white. The plant may flower in winter in milder climates, but it's generally considered an annual. Use as a vertical accent as part of a mixed container.